Quarterbacks JAY CUTLER of the Denver Broncos, SHAUN HILL of the San Francisco 49ers and MATT SCHAUB of the Houston Texans are the finalists for the FedEx Air NFL Player of the Week honors for games played on December 4 – 8, while running backs CHRIS JOHNSON of the Tennessee Titans, BRIAN WESTBROOK of the Philadelphia Eagles and DE ANGELO WILLIAMS of the Carolina Panthers are the finalists for the FedEx Ground NFL Player of the Week honors, the NFL announced today. Fans can vote for one player in each category on NFL.com/FedEx from 9 a.m. EST on Tuesday through 11 a.m. EST on Friday to determine the FedEx Air & Ground NFL Players of the Week. The winners will be announced Friday evening on NFL.com. · Denver’s JAY CUTLER completed 32 of 40 passing attempts for 286 yards and two touchdowns in the Broncos’ 24-17 win over the Kansas City Chiefs. · San Francisco’s SHAUN HILL led the 49ers to a 24-14 win over the New York Jets completing 28 of 39 attempts for 285 yards and two touchdowns. · Houston’s MATT SCHAUB passed for 414 yards and two touchdowns completing 28 of 42 attempts to defeat the Green Bay Packers 24-21. 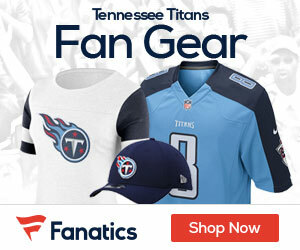 · Tennessee’s CHRIS JOHNSON rushed for 136 yards and a touchdown on 19 carries, averaging 7.2 yards per carry, in the Titans’ 28 – 9 win against the Cleveland Browns. · Philadelphia’s BRIAN WESTBROOK rushed for 131 yards and a touchdown on 33 carries as the Eagles defeated division rival New York Giants 20-14. · Carolina’s DE ANGELO WILLIAMS rushed for 186 yards over 19 carries and scored two touchdowns in the Panthers’ 38 – 23 win over the Tampa Bay Buccaneers on Monday Night Football.